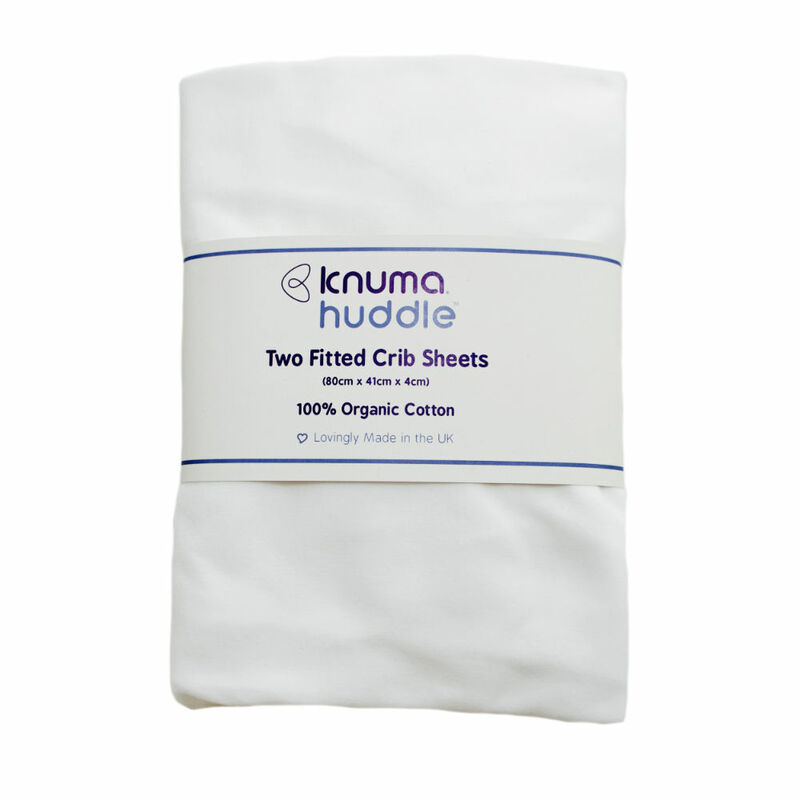 The Knuma Huddle+ Bedside Crib also acts as a Co-sleeping cot, and is a perfect remedy for the concerns associated with traditional co-sleeping. 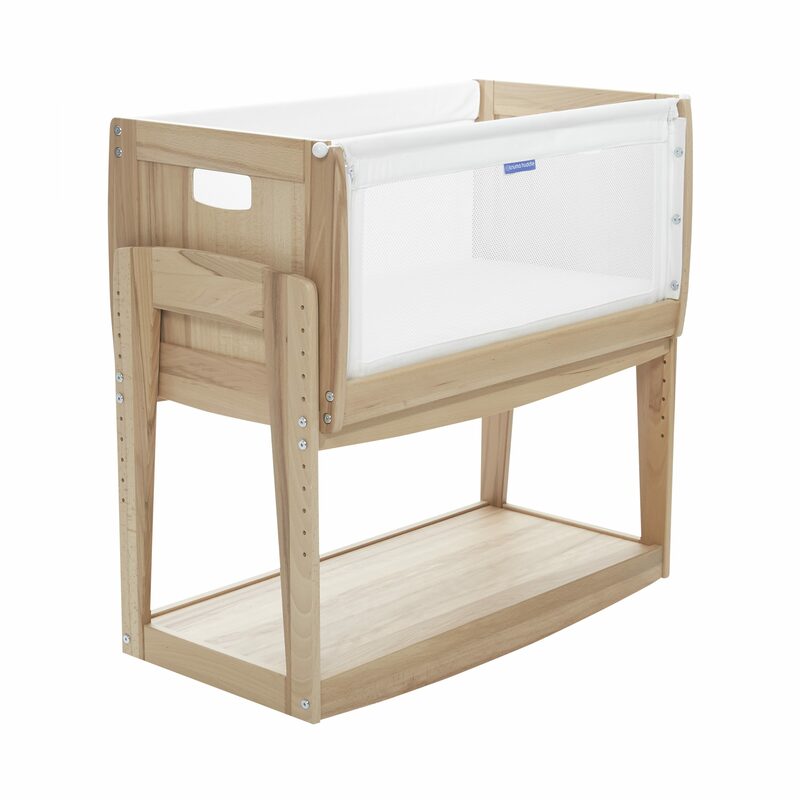 The multi-functional crib can be used as a co-sleeping cot, stand alone crib, and has a removable bassinet which is perfect for daytime naps around the home. 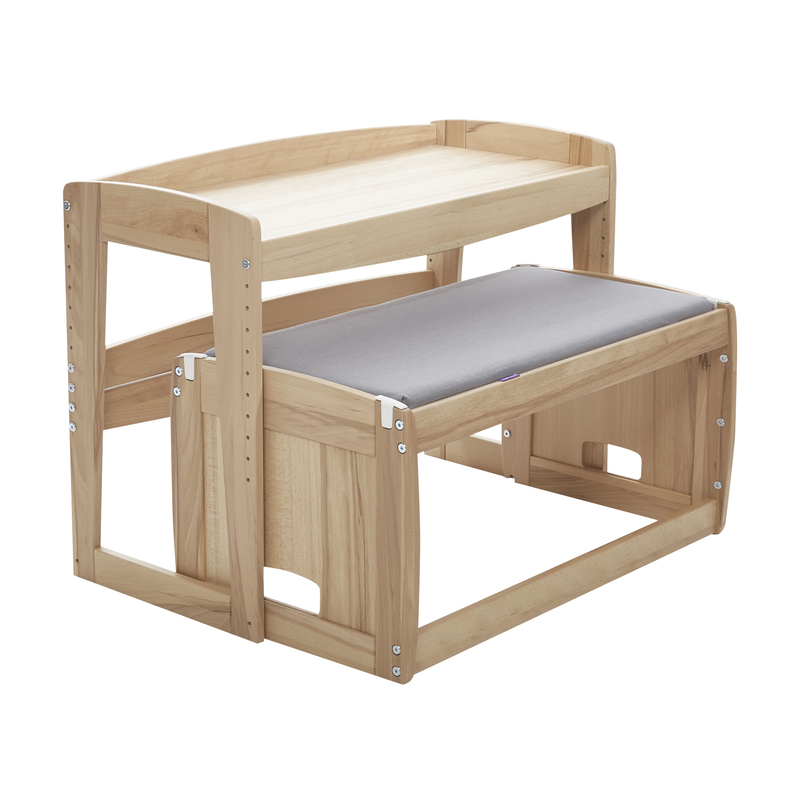 In addition once the Huddle is no longer needed as a crib it can be uniquely converted to a child’s desk and bench with no additional parts required. It is available in rustic beech, painted white and painted grey. 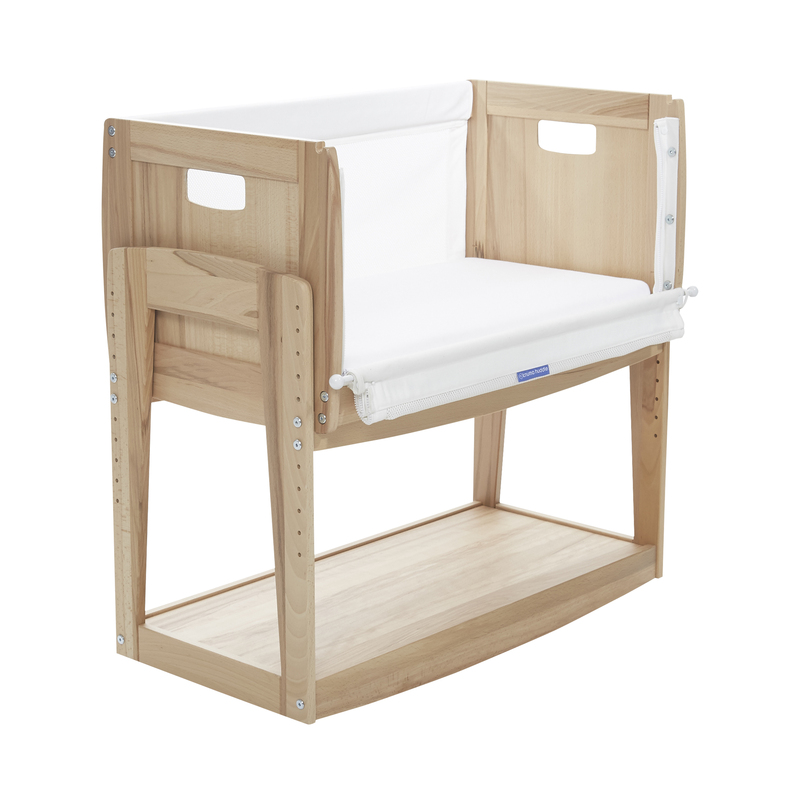 The Huddle’s co-sleeping cot has 10 height settings ensure that the crib can be used with the majority of beds, particularly high divan beds. In fact, it can be used with beds to a maximum mattress height of 70 cm from the floor, one of the highest cribs in the market. 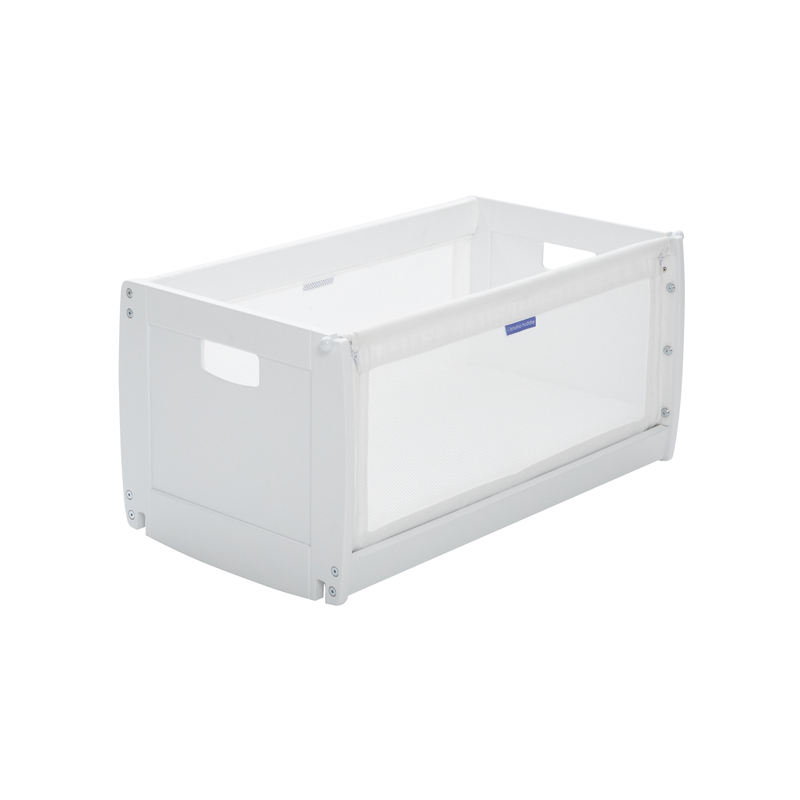 Our cribs are delivered with straps that attach to any frame or divan bed and our mattresses are manufactured in the UK and are sold as an accessory to the crib. 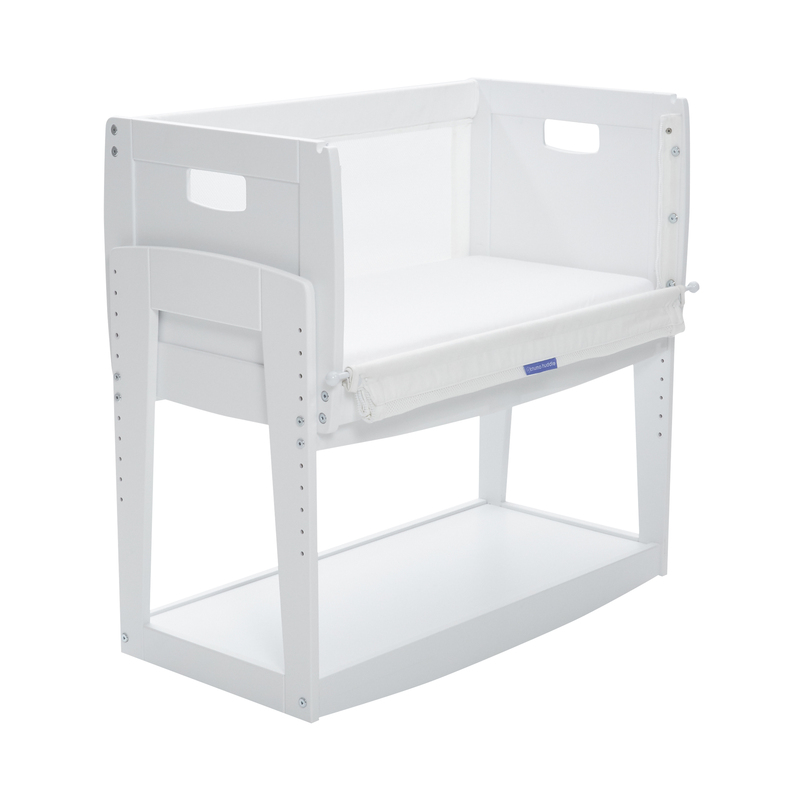 The Huddle bedside crib is manufactured in Europe, conforms to the European Cribs and Cradle Standard BS EN 1130 and is suitable for babies up to approximately 6 months in age. 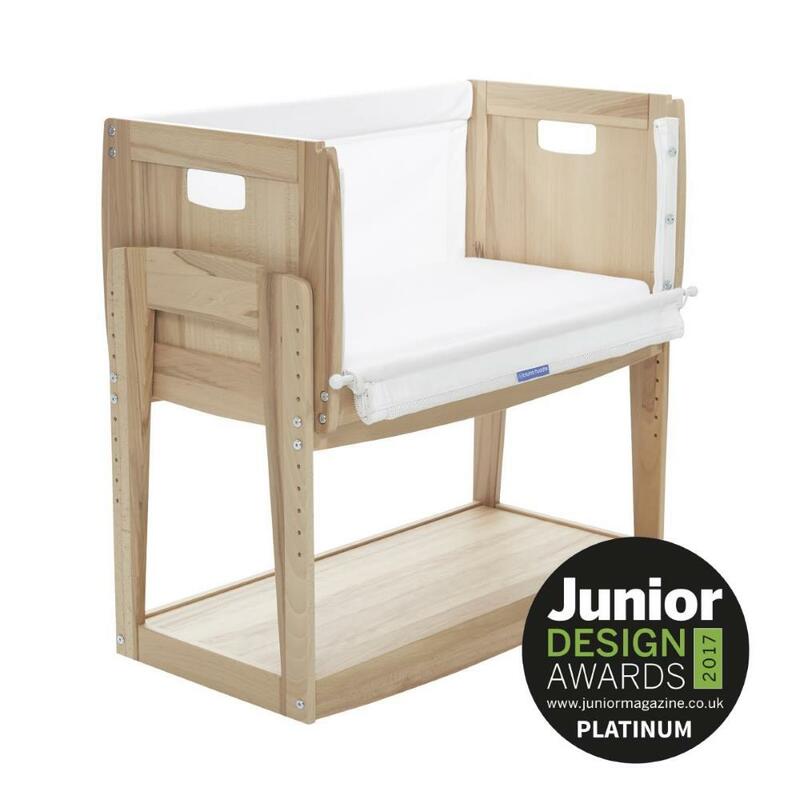 To read further information about the safety aspect of using the Huddle Co-sleeping Cot, please read through our safe sleeping page with further links to reputable sources of information. 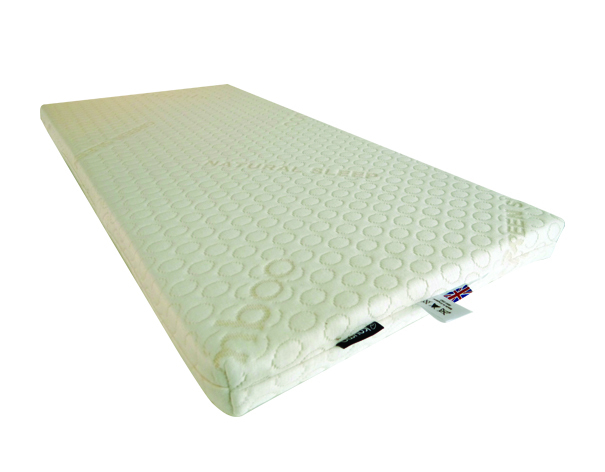 The Huddle mattress is available to buy separately as an accessory.